Peach Margarita – A refreshing margarita flavored with homemade peach syrup, fresh orange juice, and peaches. Happy Cinco de Mayo week! 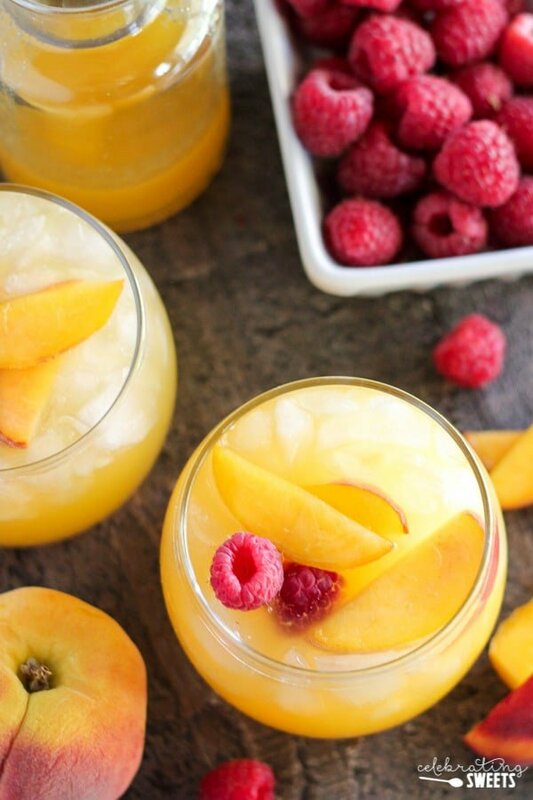 No need to wait until Thursday, let’s start the party early with these beautiful Peach Margaritas. They are refreshing and flavorful and dangerously delicious. Each sip tastes like summer and has me wanting to throw on my bathing suit. Kidding about that last part. Ugh. Not pretty. Anyway, let’s talk margaritas. 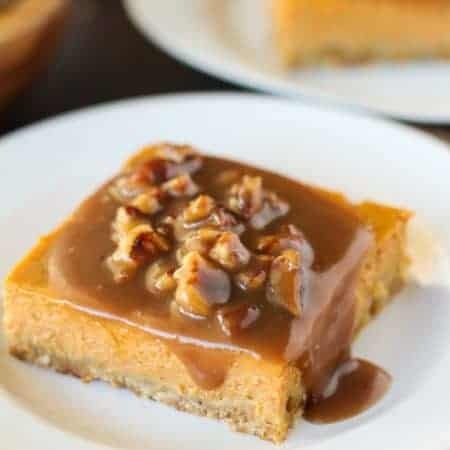 I’m not into the overly sweet, sugar loaded versions that you see in most restaurants. I want my margarita to taste fresh and fruity but still light and refreshing. 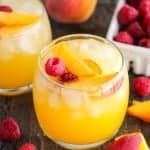 For this recipe I make a peach simple syrup from frozen peaches, water, and sugar. 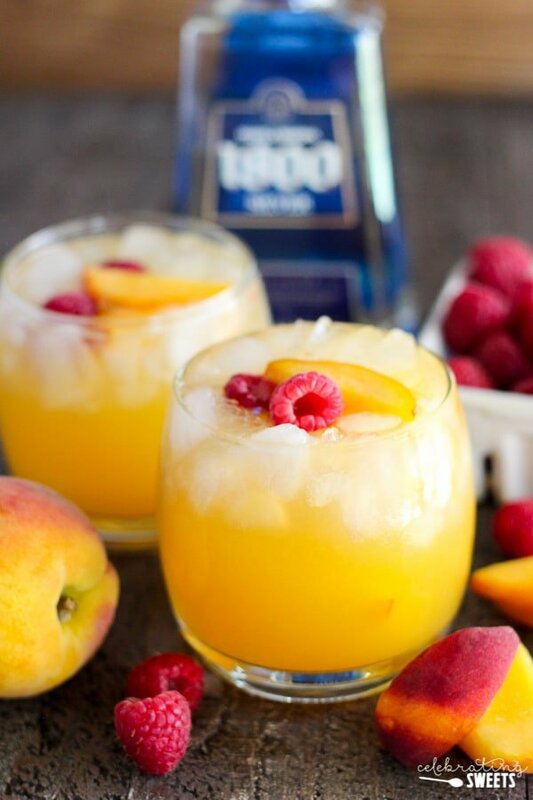 The peach syrup along with peach liqueur impart the peach flavor in these margaritas. I also add a little freshly squeezed orange juice to keep the drink from being too strong. The orange juice compliments the peach flavor without overpowering it. Fresh peaches can be hard to find, so feel free to use frozen peaches for both the garnish and the syrup. 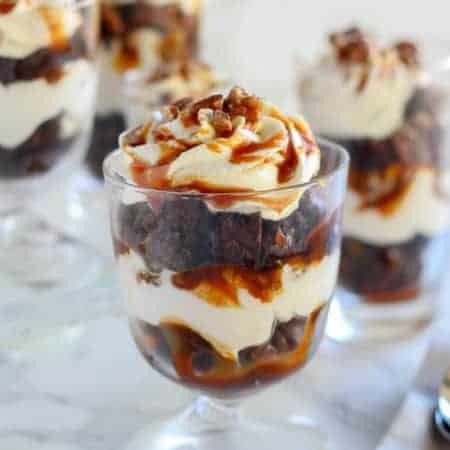 If/when you can make this with fresh peaches, please do! Their extra sweetness will make these margaritas even tastier. My number one rule for you when making any cocktail at home is to use the recipe as a basic guide, but make it the way that you want it. You might prefer it sweeter or stronger; just play around with the portions until you get the drink exactly the way you like it. And now, I’ve got some tasty Cinco de Mayo related recipe links to share with you. 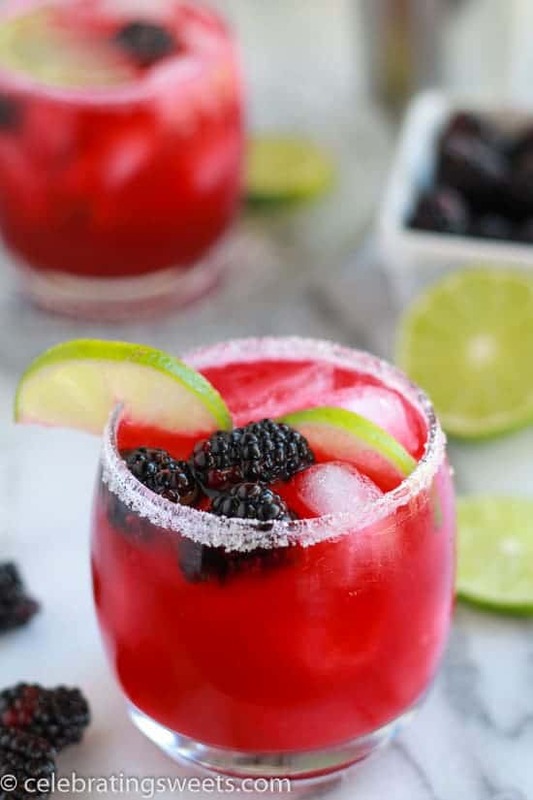 My Blackberry Lime Margaritas (below) are just as good as this peach version. Taco Soup. An easy, one-pot meal. 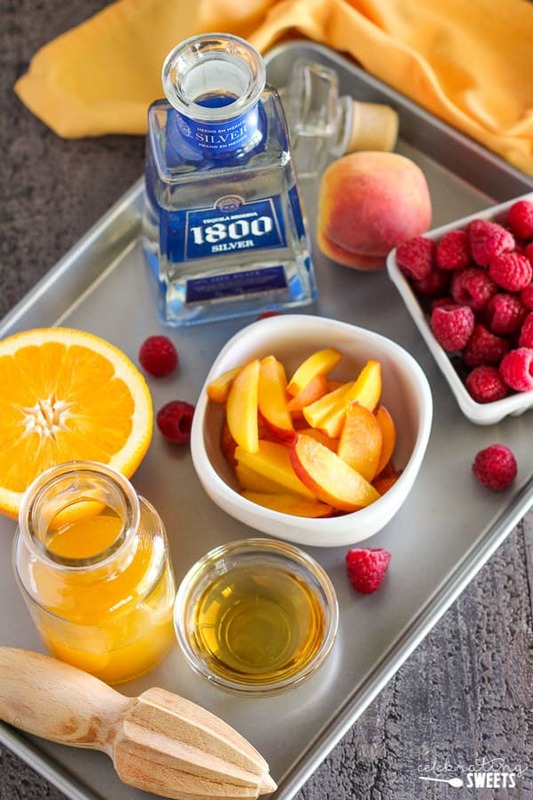 A refreshing margarita flavored with homemade peach syrup, fresh orange juice, and peaches. Combine all ingredients in a small saucepan. Bring to a boil, then reduce heat to low and simmer, stirring occasionally, for about 20 minutes. Periodically press the fruit with the back of a spoon to help it cook down. Place a fine mesh sieve over a bowl and pour the mixture through. Lightly press on the fruit to extract all of the syrup. Cool syrup. Combine all ingredients in a cocktail shaker filled with ice. Shake until combined and pour into an ice filled glass (feel free to adjust ingredients to your taste preference). 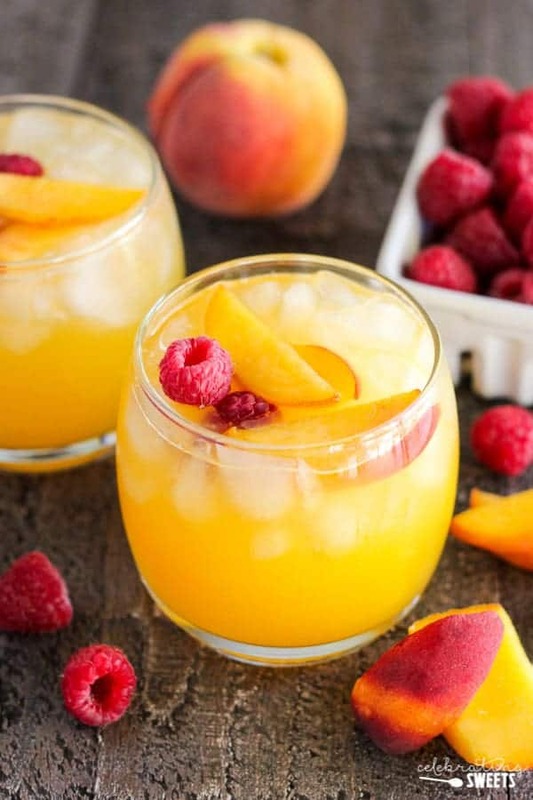 Garnish with sliced peaches and raspberries. 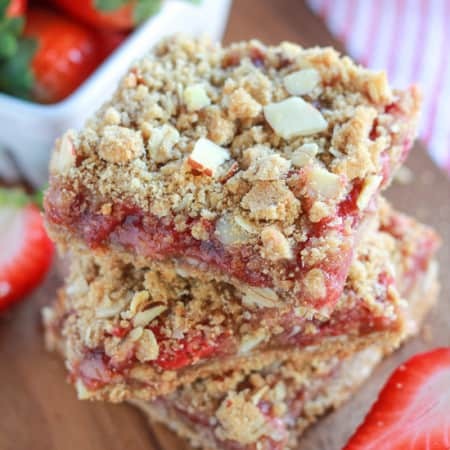 Can’t wait to make these for Cinco de Mayo! This looks perfect for summer! I’m totally pinning this and saving it for later. Especially love the addition of frozen peaches! Margaritas are so dangerous for me!! I love them too much and this looks like it’d be delicious.